Here is my Caviar, oops, I mean, Fish Egg Manicure! I'm sure by now, you would have heard of how Ciate stupidly unleashed a backlash against its own brand. Well, that's a large part of the reason why I'm writing today's post, too. 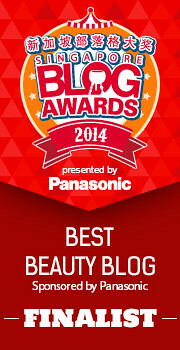 A lot of nail bloggers were inspired by the look, and began doing their own DIY versions. Most brands consider it a good thing, even if these bloggers aren't using their own products (Ciate's manicure sets aren't avaialble til June). The reason is simple - more publicity leads to increased sales, or at least, increased general brand awareness. 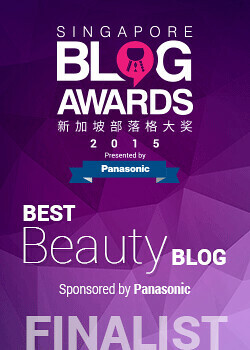 This was a virtuous cycle - bloggers love a product, readers know about it, brand gets good publicity, and sales. So far, so good. Then Ciate began sending Cease and Desist letters to bloggers (an example here), on the grounds that they are infringing on their intellectual property. 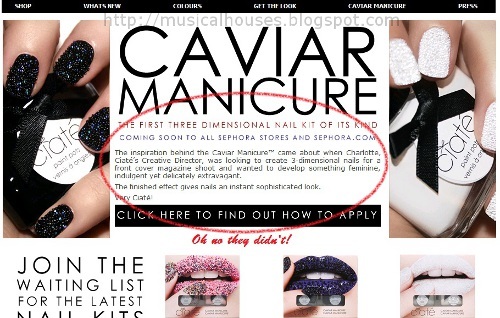 Ciate claims that because they are in the process of trademarking the terms "caviar manicure" and "caviar nails", all nail bloggers using either terms are liable for IP infringement. As it turns out, Ciate didn't even invent the caviar manicure. It was first done by Dashing Diva more than a year before Ciate, for the Cushnie et Ochs show in 2011. And back then, it was called a caviar manicure too, not as a trademarked term, but more as a general description (like shatter polish doesn't specificaly refer to OPI's shatter range). 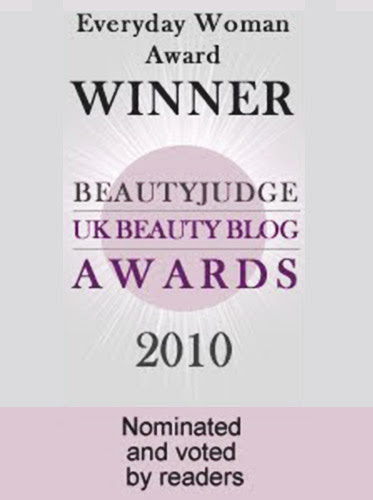 And yet, if you read the Ciate website, it says, "The inspiration behind the Caviar Manicure™ came about when Charlotte, Ciaté’s Creative Director, was looking to create 3-dimensional nails for a front cover magazine shoot and wanted to develop something feminine, indulgent yet delicately extravagant." So in essence, Ciate is claiming that they invented the cavair manicure, which was invented over a year ago by someone else under the same (non-trademarked) name, and now they are going to trademark it so that noone else (including the original creator, Dashing Diva), can use the words "caviar manicure" or "caviar nails". That's just total and utter crap to me. "However, sending a lawyer's letter right off the bat is a very heavy-handed response given that they are just dealing with one individual, and is one that is too harsh, and bound to give the company a bad reputation. Instead, a much better thing to do would have been to get a PR person to send out a more friendly-sounding email clarifying the situation - that would have gotten the same effect, and have avoided the drama. Justified or not, this is still really bad publicity for [Ciate], which could have been avoided. A lawyer's letter should be the last line of resort, not the first thing you think of, especially when dealing with harmless individuals who are your customers!" 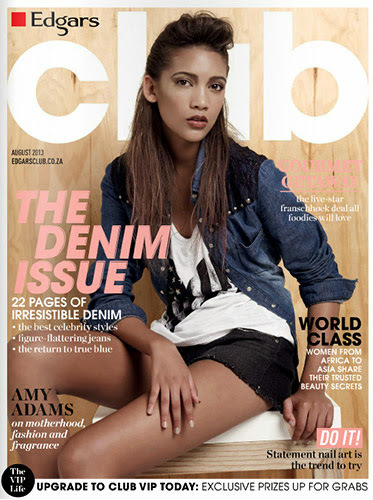 Ciate has since then softened its stance against bloggers, but it does seem like too little, too late. Anyway, I'm sure you had enough of my ranting (well, what is my blog good for if not ranting I guess!). 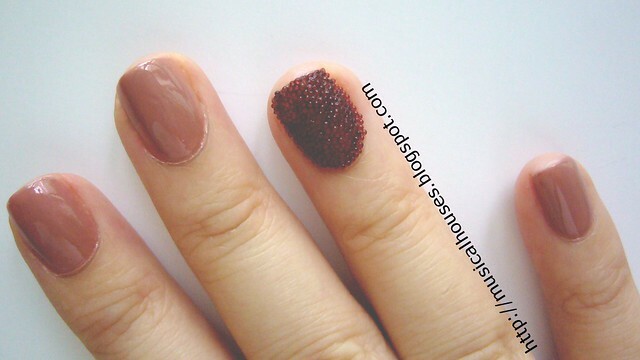 Let's move on to the actual good stuff - more photos of my very own Caviar Fish Egg Manicure! I'm too late to the party to add in my blog for the link list that's been going round since I was at work all week, so this is not for any type of publicity I could get from the outrage, but more to just express solidarity in my own way. For this Caviar Fish Egg Manicure, I used OPI's Barefoot in Barcelona as the base. It's been sitting around in my untrieds for over a year, and I can't believe it took me all this time to use this baby. It's a gorgeous pinky-brown sandy neutral, and would look good on almost anyone, I think. Heck, I think this would even make a great lip colour too! For the beads, I used some random beads I got from Born Pretty Store. Mine were only one colour, but you can get a few colours and mix them together, if you're more artsy than me. In order to get the beads onto the nails, I painted two coats of Barefoot in Barcelona, then basically poured beads over my nail while it was still wet. Some areas are harder to reach than others, so if you want you can dip your nails too. Once I was satisfied with how the beads looked, I added some topcoat to seal everything. All in all, this was a really easy manicure to do. I mean, pouring stuff over your nail - doesn't get much simpler than that! The downside though, is that some of the the beads came loose, and I felt like my manicure was going to drop off eventually, bead by bead. I suppose it's great for a night out, but I don't expect these to last more than a couple of days. 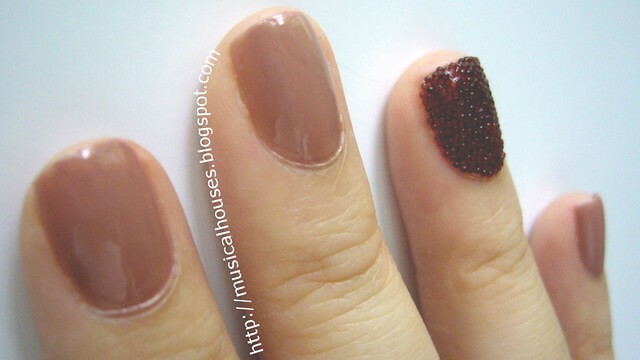 Besides, I also have this really horrible habit of picking at my nails, and a rough and bumpy texture like that of the Caviar Fish Eggs manicure would really tempt me to pick at them soo much. The bottom line? I'd probably wear this for a glamorous night out, but not for everyday. And although it's easy to do, you'd have to be quite patient to work with tiny little beads that may be prone to spilling and rolling all over the floor. But otherwise, I think it doesn't look that bad - it's really a hate or love kinda thing, but I am actually starting to get to like it. I just don't think I'll be getting Ciate's version of the beads. I love this post, your take on the 'Fish eggs manicure' is awesome, it looks gorgeous. I do like your mani! Sorry, just interjecting to clarify that patents are an entirely separate area of IP law with its own set of doctrine. Prior art is indeed applicable in patent law, but not in trademark--you actually obtain trademark rights by either being the first to use the mark in commerce, or the first to file the mark with the USPTO. See http://cyber.law.harvard.edu/metaschool/fisher/domain/tm.htm. Very nice, it takes a lot of effort but the results are worth it. How long do you think it will last? @Jacqueline: I'm guessing probably a few days max, the beads can fall off. Usually th ones at the sides go first, but the ones in the middle are ok.
=w= I hate it when companies do this kind of thing. Solidarity! Right on! this looks brilliant! i might try it one day for a special event. Loving the beads. Ciate really made a bad move, also a shame that they lied about inventing it. Horrible! Definitely learnt from your post. Looks like a little bit of glue might "fasten" the beads and ensure that they last a little longer. Gonna try out this "fish egg manicure"! Super late to the party here but I'm officially sick of everyone jumping on Ciate for the wrong reasons. Legally, if you have a trademark you are required to protect that trademark in order to keep the rights to it. They are required to send out the C&D letters or enter into a licensing contract with anyone who uses the term... once they own the trademark. The reasons you should be jumping on Ciate are 1) for sending out C&D letters before they had actually trademarked the term and 2) for trademarking a term that is already in common use. It's like if someone trademarked the term "water marbling"--trying to keep that trademark would be near-impossible. My best guess is that they came up with this really cool idea and didn't realize it was already a thing until they started with the trademarking. Then they saw all these people using the term and had an "Oh sh!t!" moment. So instead of dropping the trademark idea altogether, they went in the most wrong direction possible PR-wise. Unfortunate. Yours turned out really good though and I'm curious how long it lasted, if you remember?